The Bonner County Citizens Preparedness Expo at the Bonner County Fairgrounds in Sandpoint, Idaho will take place Saturday, Sept. 9th, 2017 from 9am – 5pm. Link to vendor application. This is an image file. 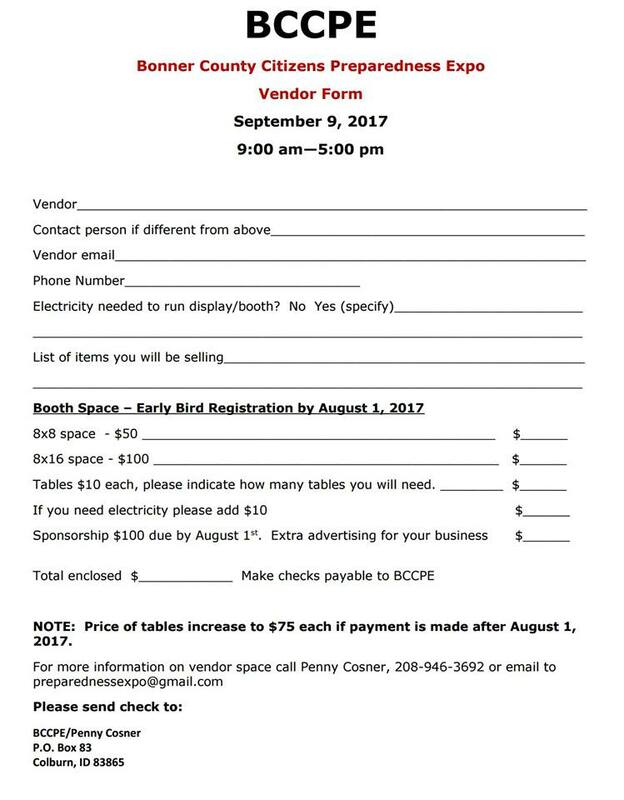 Posted on August 11, 2017 by lvassemblyPosted in InformationalTagged bonner county, idaho, Preparedness Expo.